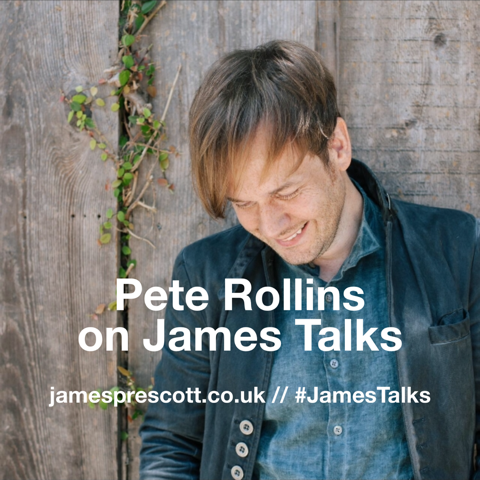 Today philosopher, poet & theologian Pete Rollins & I discuss the problem of certainty in our spirituality & daily lives, why we need to critique our faith and how important it is to confront the truth of who we are to have true spiritual growth. We discuss Pete's 'Atheism For Lent' project and how it critiques Christianity, the idea of our faith as a magic trick with a pledge, a turn and prestige, our own holy ghosts, and also touch on Pete's vision & hope for the church. Finally, Pete and I talk about the political situation in the US right now, chronological snobbery, learning lessons from history and the bigger problems behind the surface of American culture. It's one of the most fascinating, thought-provoking, challenging interviews you'll hear - Pete speaks with such wisdom, intelligence and grace. Come and join us.